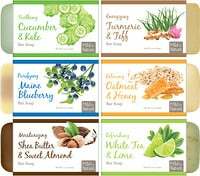 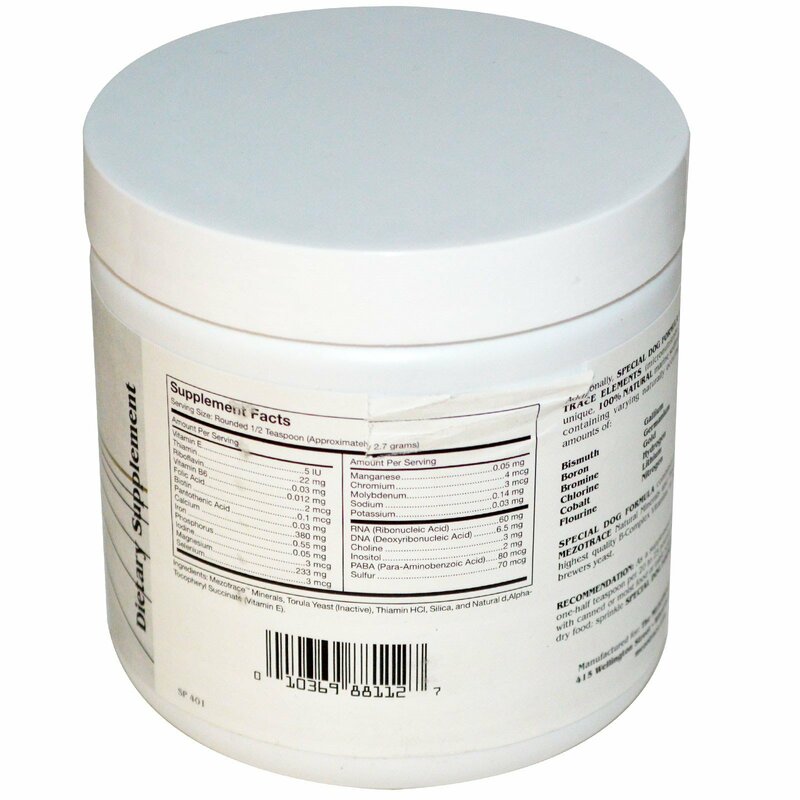 As a supplement to the daily diet, feed one-half teaspoon per 20 to 25 pounds of animal weight. Mix with canned or moist food or table scraps or slightly moisten dry food; sprinkle Special Dog Formula on top. 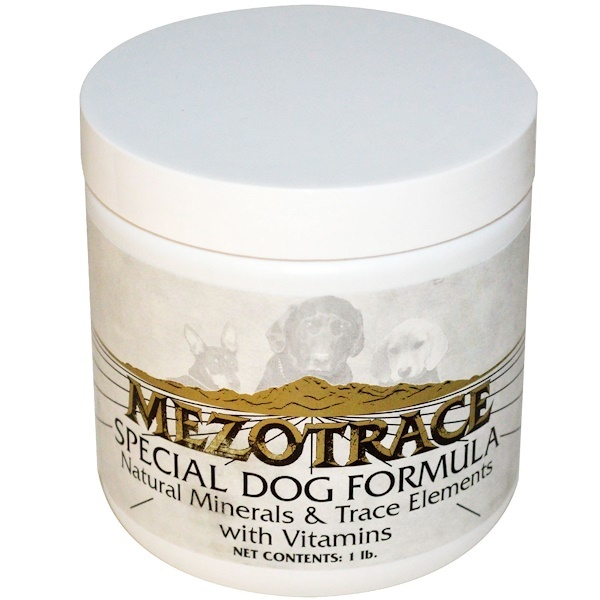 Mezotrace minerals, torula yeast (inactive), thiamin HCl, silica, and natural d,alpha-tocopheryl succinate (vitamin E).